Senate fellow Domonique Jones on the floor of the California State Senate Chamber. California Senate fellow Domonique Jones. Senate fellow Domonique Jones pictured with California Senate President pro Tempore Kevin de León of Los Angeles. 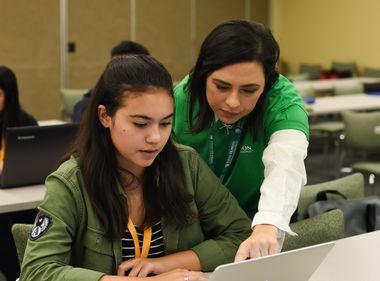 Sponsor Edison International makes sure students in need have the chance to succeed in the popular Capital Fellows Program. Domonique Jones, 22, a graduate of the University of California, Merced, is a Capital Fellow working full time in state Sen. Robert Hertzberg’s office. But her road to Sacramento was anything but easy. She faced domestic violence in her home as a child and at one point was homeless. And it’s the combination of all her experiences that propelled her to follow a career in public service. “I worked hard to get to a place where I could assist others who have begun their lives facing difficulties,” she said. But when Jones learned she had been accepted to the Center for California Studies’ Capital Fellows Program — a program funded by the state to provide a path for the development of future policymakers in California — she found she couldn’t afford the moving costs and other living expenses. 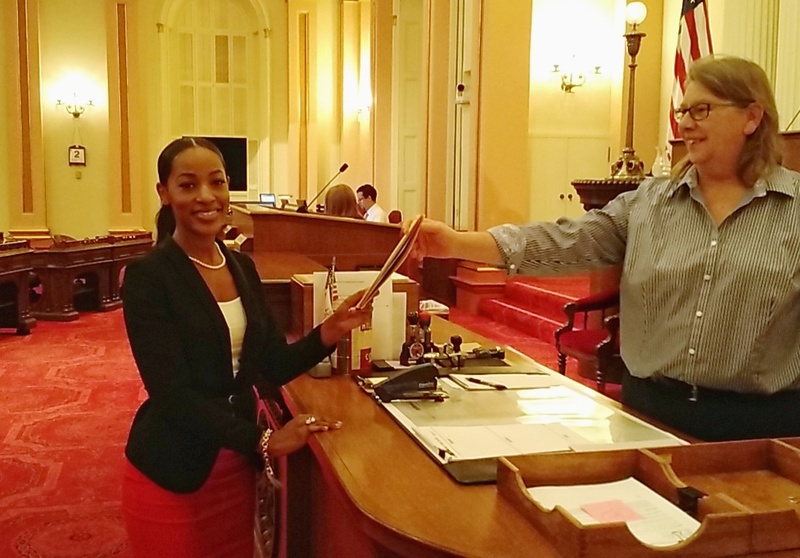 Senate fellow Domonique Jones submits her first bill for her boss, State Sen. Robert Hertzberg. 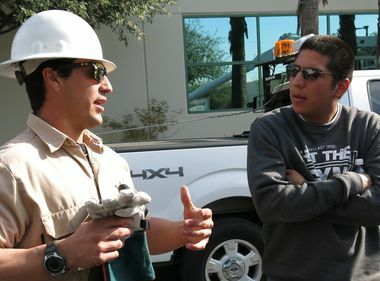 “State law limits the use of [program] funds to running the program and providing a stipend once fellows commence work, it cannot help with relocation or other critical expenses,” said Dr. Steve Boilard, executive director of the Center for California Studies. That is where the Hodson Capital Fellows Assistance Fund steps in, a fund supported by donations from various individuals and organizations, including Edison International and the late Tim Hodson’s family. Hodson was a longtime director of the Center for California Studies. The fellows can use the money to buy clothes for the office, moving expenses or a deposit to rent an apartment. 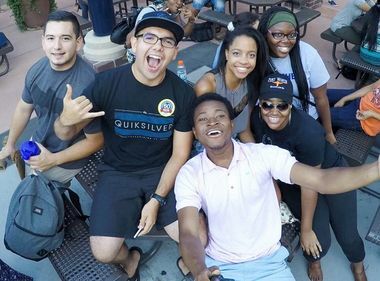 Each year, 64 of California’s brightest college graduates converge on Sacramento to begin a yearlong experience that can serve as the springboard into a life of public service. This year, the assistance fund supported 14 fellows as they transitioned to life and work at the Capitol. Robbin Lewis-Coaxum, past program director for the Assembly Fellowship Program and chief of staff for Rep. Chris R. Holden, knows firsthand the impact the fellowship program can have. Edison International encourages other organizations to support the fellowship program. At a recent event in Sacramento, fund supporters gathered to welcome the incoming fellows and support the program. Jones spoke to the group and talked about her journey to the Capital. “In our steadfast pursuit of public service, let us not despise our humble beginnings as it will be the platform that will elevate California tomorrow,” she said.